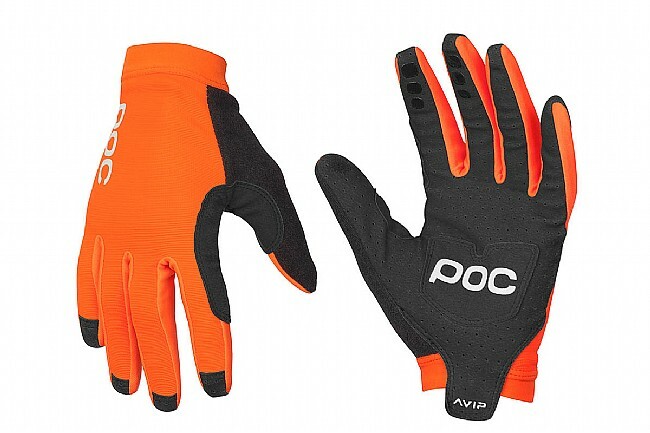 Providing the closest possible contact with the bike while still offering protection, POC's AVIP Long Glove strikes the perfect balance between sensitivity and protection. Featuring a 4-way stretch top that offers a supportive fit while wicking away sweat for optimal comfort. A Clarino® synthetic leather palm with printed silicone grip, double-layer padding, and conductive fingertips make this a functional full-finger glove.